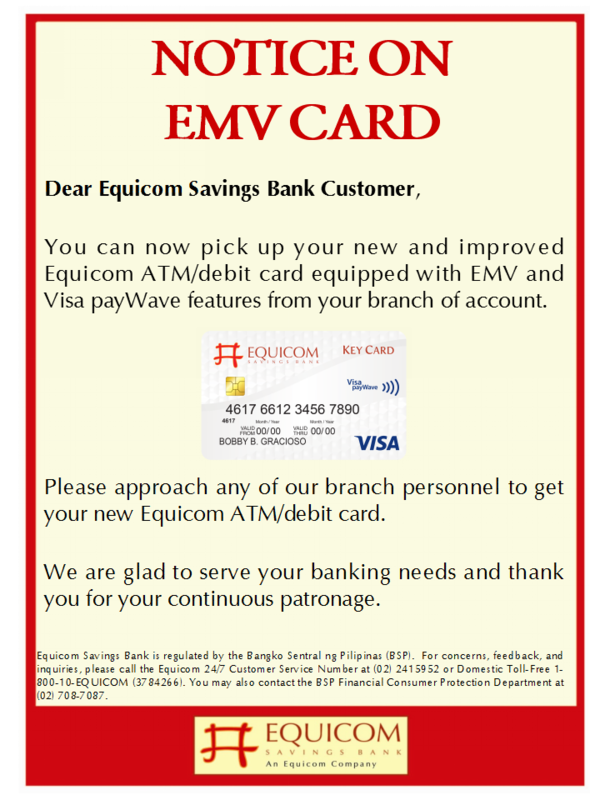 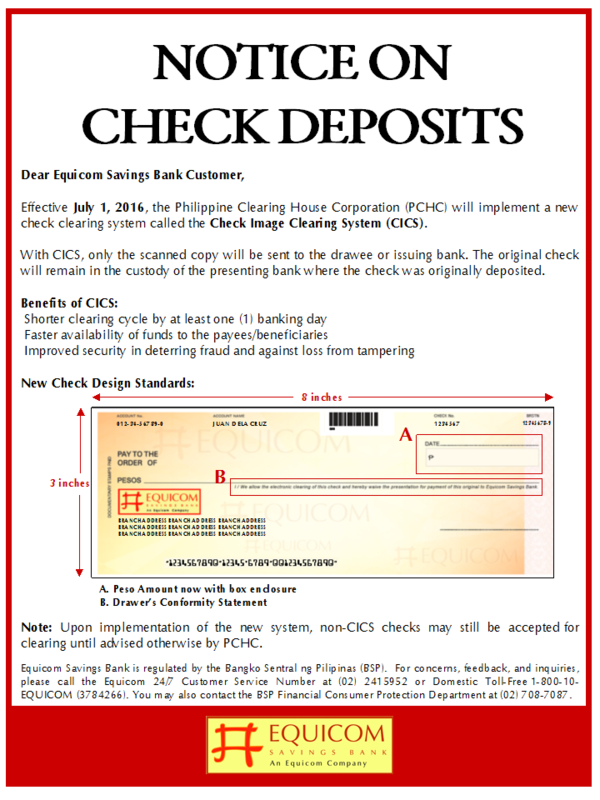 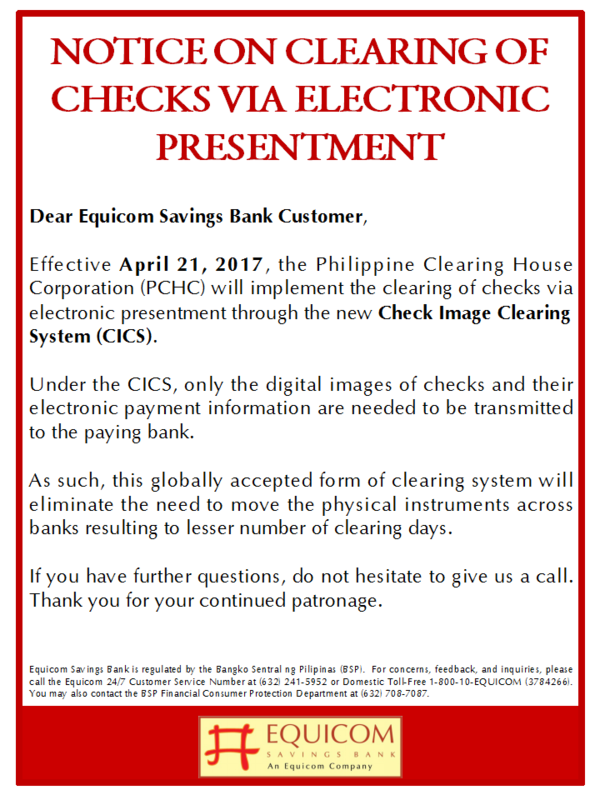 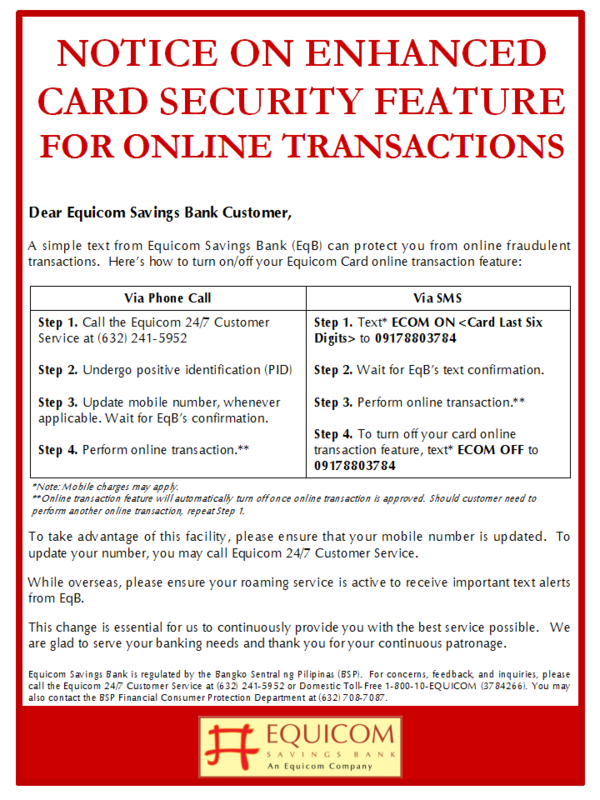 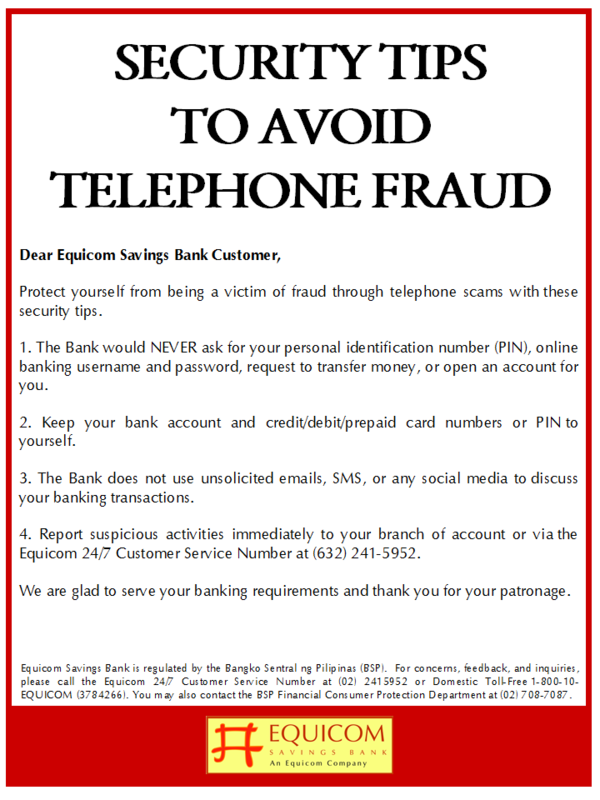 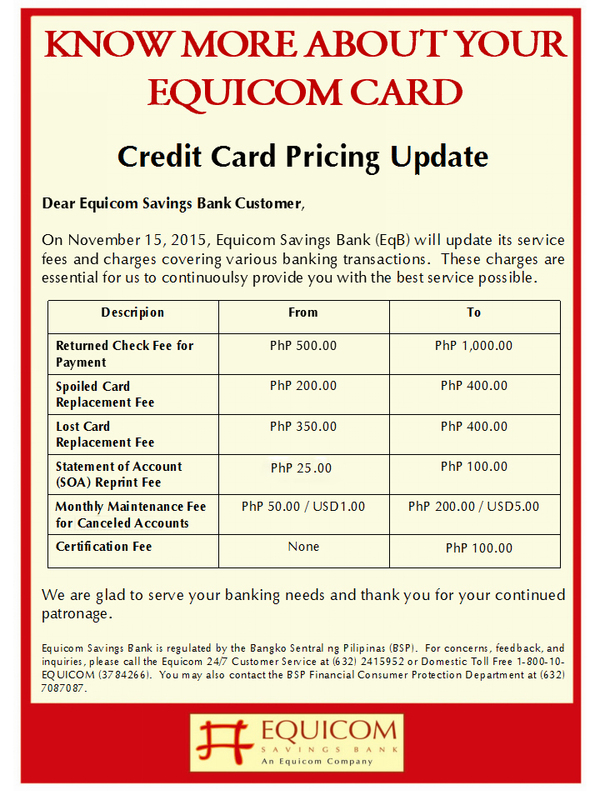 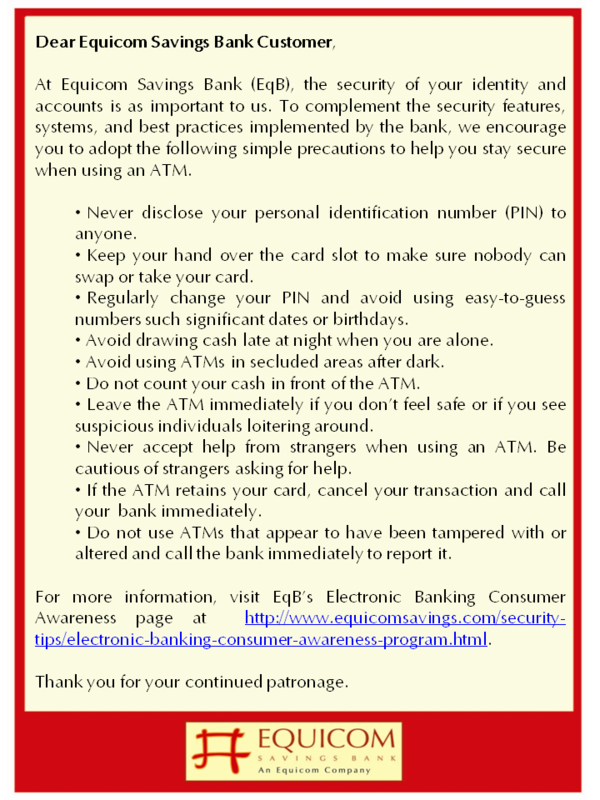 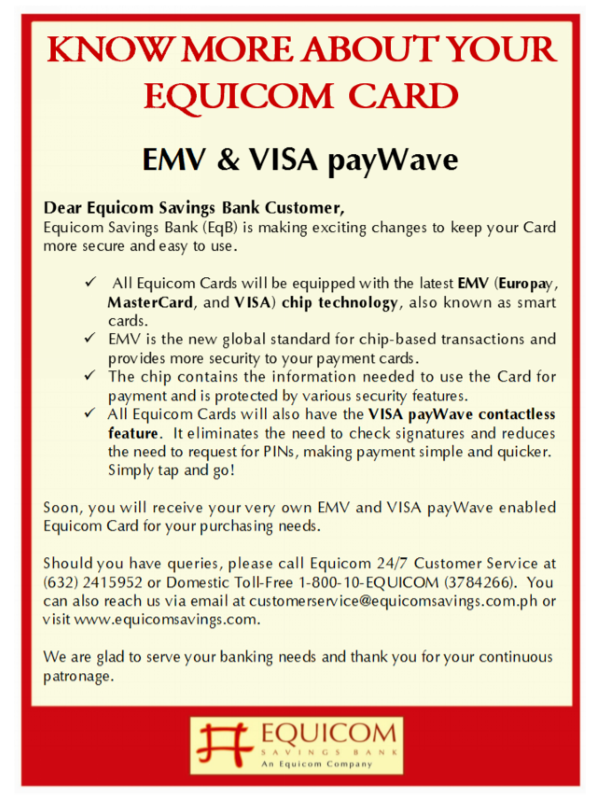 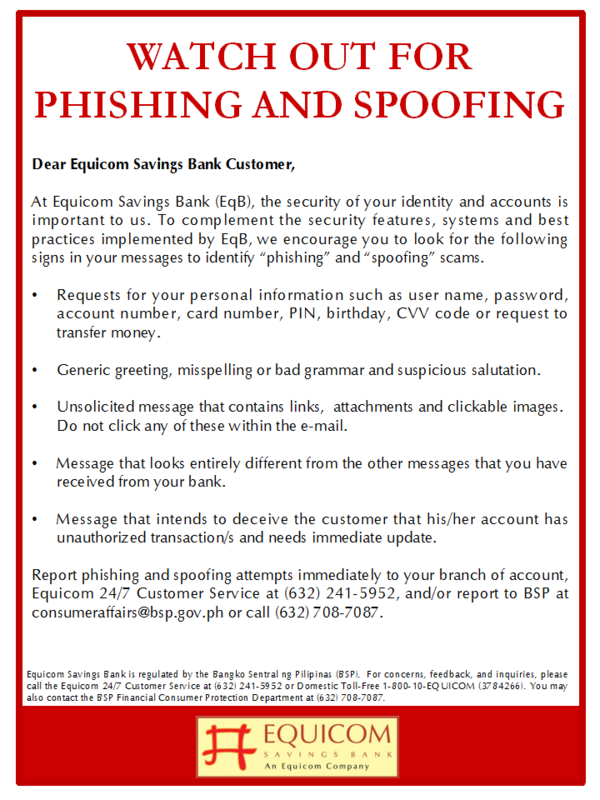 Equicom Savings Bank (EqB) responds to the call of the Bangko Sentral ng Pilipinas (BSP) to promote the benefits derived from banks and the role they play in strengthening the Philippine economy as they participated in the annual National Banking Week, 1 to 7 January 2013. 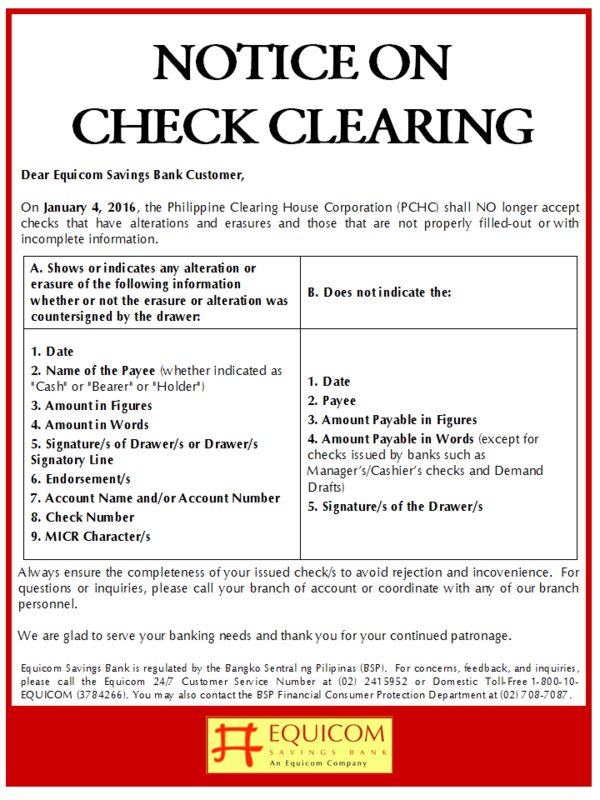 With the theme “Masaganang Lipunan, Bunga ng Salaping Iniingatan. 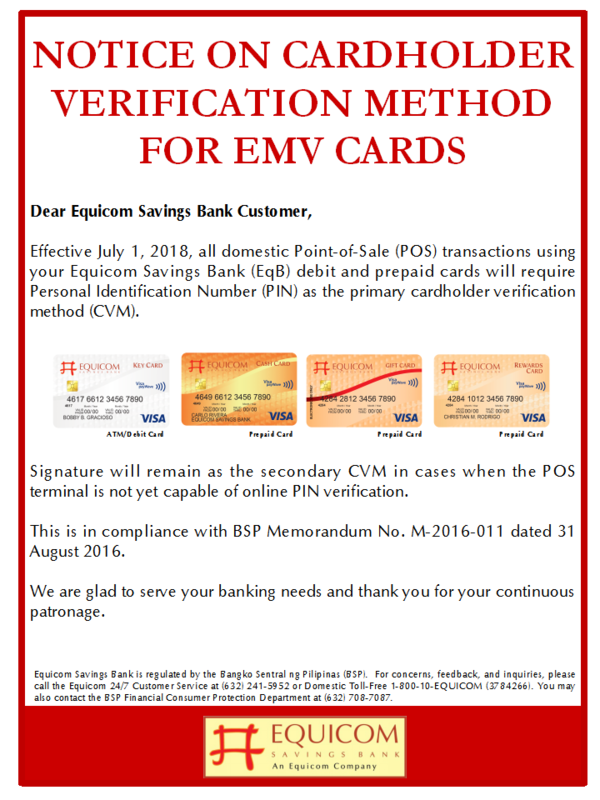 Mag-impok sa Bangko,” BSP, together with EqB, encouraged the public to get into the habit of saving. 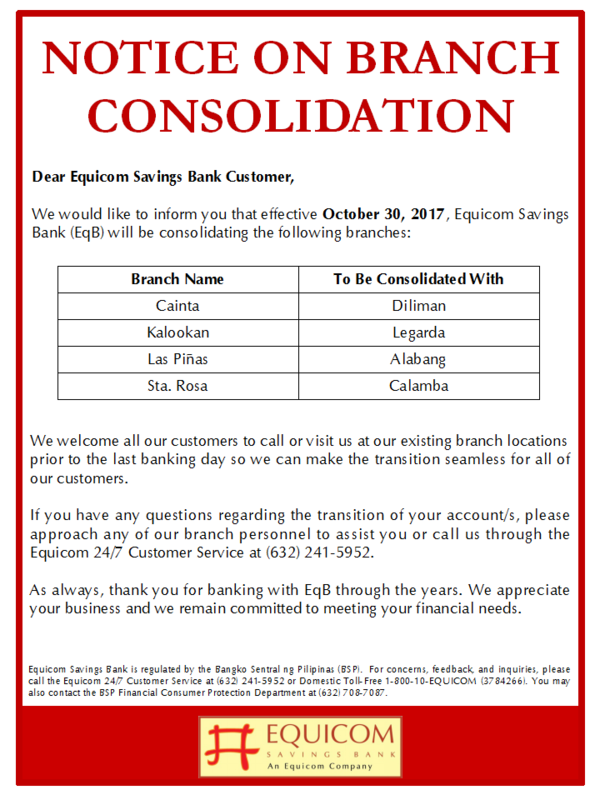 The weeklong celebration highlighted the importance of saving money with the end goal of uplifting lives and contributing to the growth of the Philippine economy. 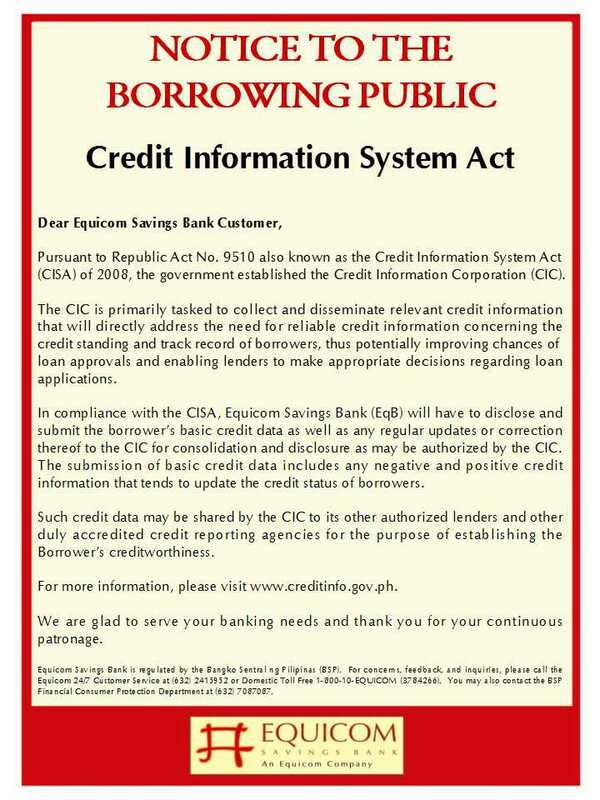 EqB is one with BSP’s duty of promoting the benefits derived from banks and the role they play in strengthening the economy of the country. 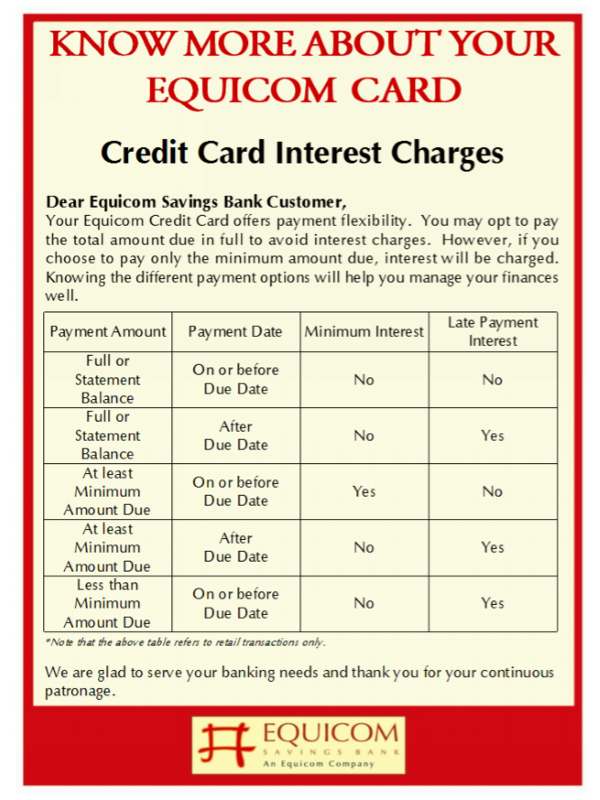 With EqB’s various savings account options, flexible loan offers, and innovative banking solutions, it is very convenient for customers to set aside a portion of their money and save it in a bank. 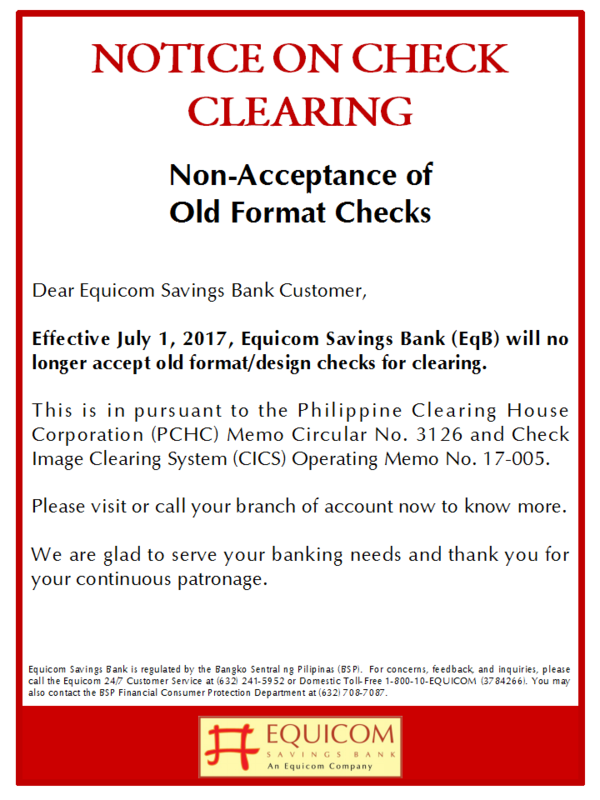 After all, having a bank account has numerous benefits and advantages as well. 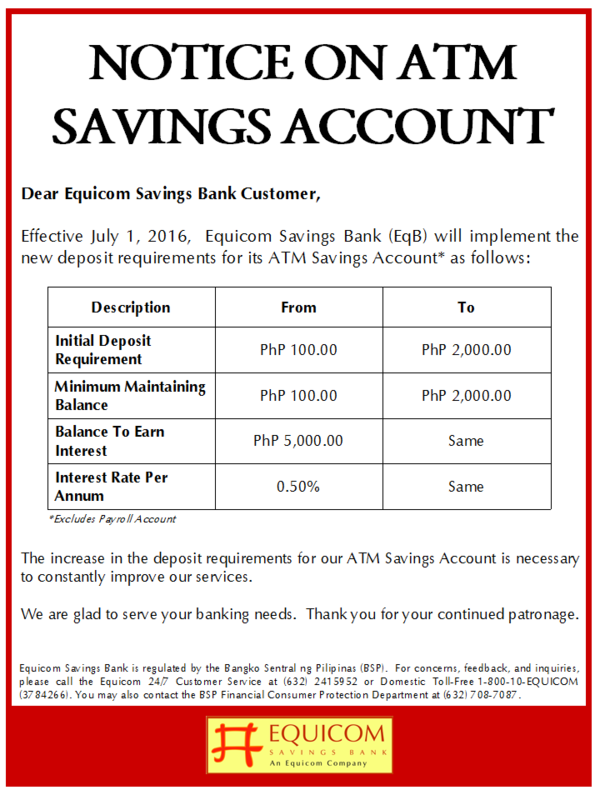 A bank account provides financial security for immediate and future use – for the education of your child, for medical emergencies, for home upgrades, for investment opportunities to start your own business, and even for retirement savings. 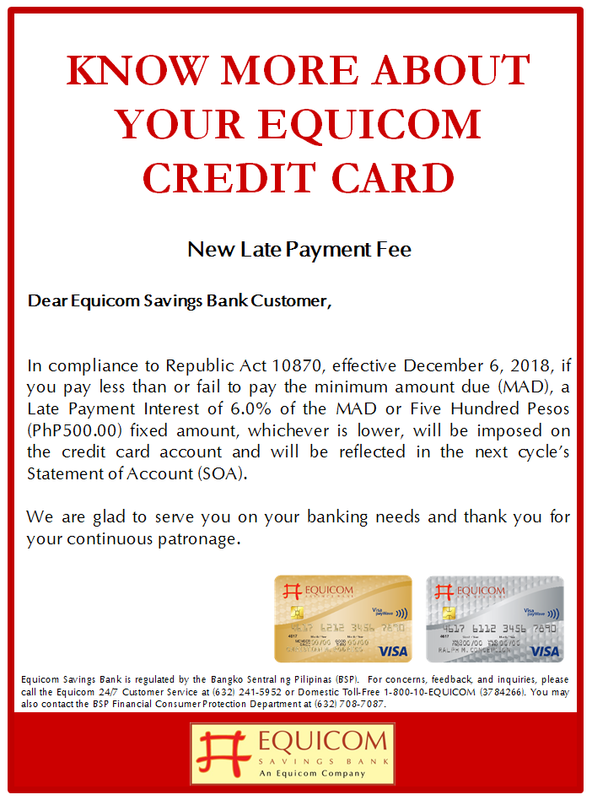 EqB offers a wide array of products ranging from deposits, investments, credit, debit and prepaid cards and business/corporate loans, as well as Cash Management facilities and services. 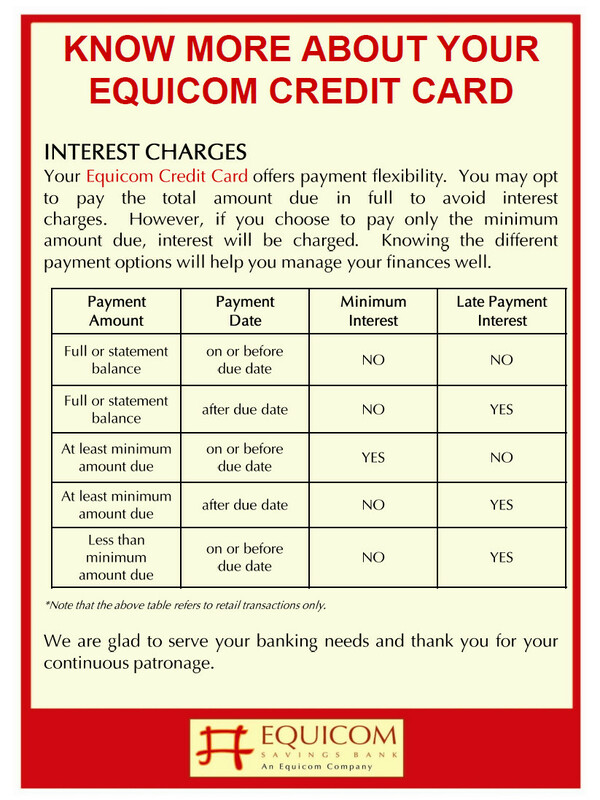 All the products of EqB cater to their clients’ specific needs and offer competitive interest rates, which are testaments that ensure responsiveness to the needs of EqB clients. 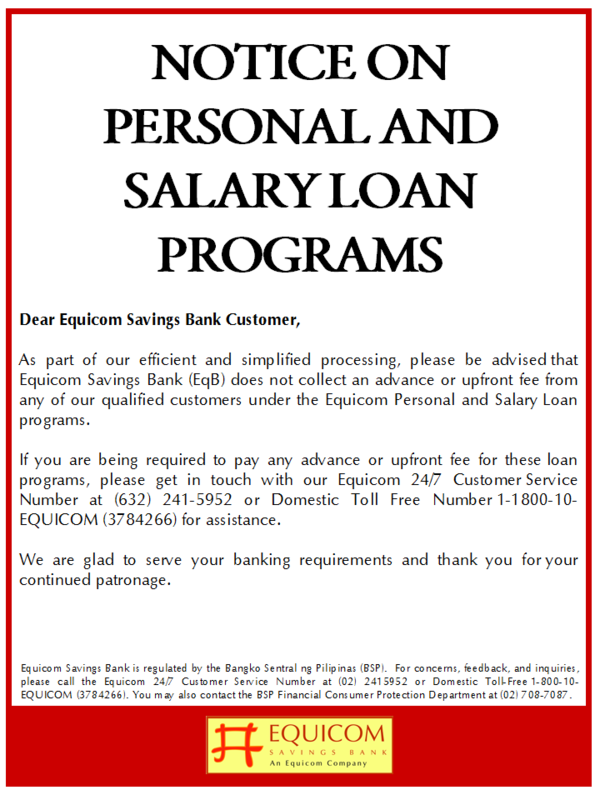 This 2013, discover the many financial opportunities offered by EqB to help maximize your savings and secure your future. 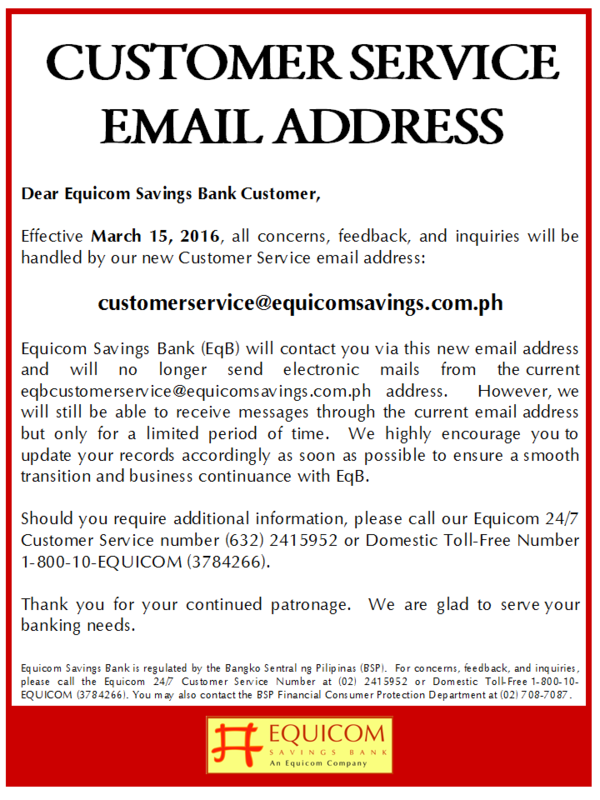 EqB’s professional team is ready to provide you with a rewarding and enlightening experience as they walk you through their offerings. 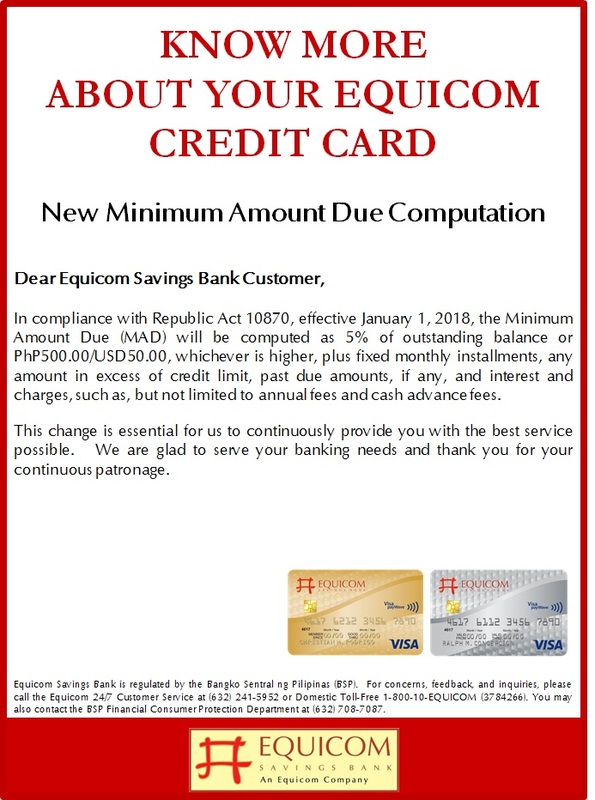 For easy, affordable and secure banking, open an EqB account today and experience top-notch service only from the preferred savings bank in the country.